In 2012, the Foundation actively started raising private funds, hosting the first Conservation Cup, its annual golf benefit. That year the Foundation granted $3,500 to the Forest Preserves. The Foundation adopted its first strategic plan in September, 2015 to help guide its growth and impact. In the fall of 2018, the Foundation drew up a new strategic plan. By 2017, the Foundation approached the $1 million mark in grantmaking. In 2018, granted a total of $317,705, reaching a lifetime total of grants in excess of $1.3 million. With grants awarded in the spring of 2019, total Foundation grants to support the Preserves topped $1.5 million. The funds we grant go to support opportunities for families and children from a diversity of backgrounds to enjoy the Forest Preserves. Foundation grants underwrite youth conservation leadership programs, nature art and nature play installations, and capital improvements that welcome and engage visitors to the Preserves. 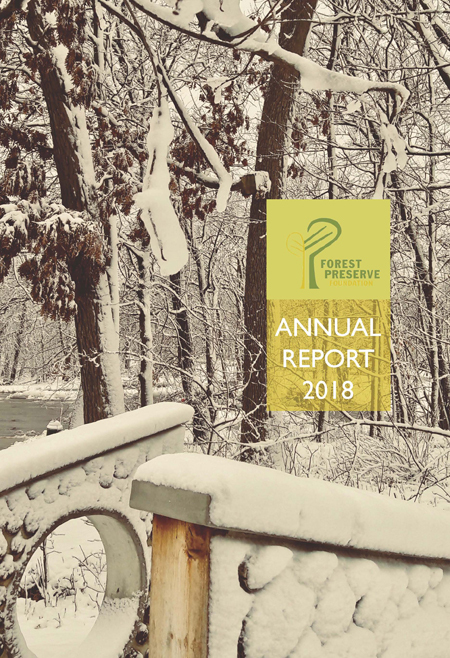 The Forest Preserve Foundation raises funds that support meaningful and enriching outdoor experiences for all who visit the Forest Preserves of Cook County. Since its inception in 2012, the Foundation has granted more than $1.5 million to support programs that ease youth and family access to the wonders of the Forest Preserves of Cook County and provide innovative and educational programming. Keep up with our programs and events by reading our frequently updated blog, where we share stories and reflections about the people and many places that make the Preserves special.